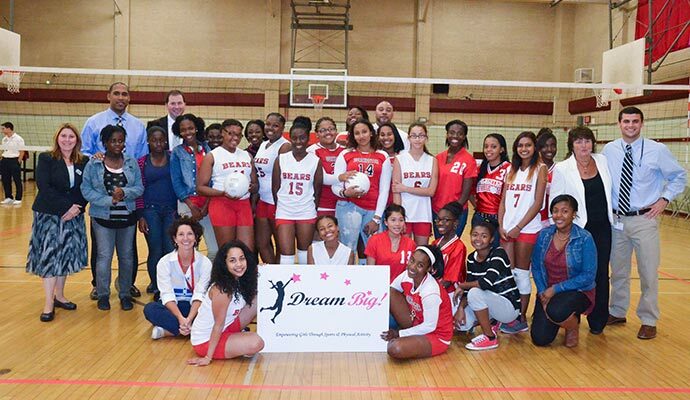 Members of the Dorchester Bears’ volleyball team will now be able to take on rivals at their home gym thanks to a number of improvements made to the facility by the non-profit Dream Big! Close to $10,000 worth of work went into the TechBoston Academy gymnasium, including the addition of a new net system, the installation of a referee stand, and the addition of pole sleeves, according to Jillian Smith, the athletic director for the TechBoston Academy and Dorchester Academy. The upgrades were also a major boost for the eighth through 12th-grade TechBoston Academy and Dorchester Academy students that play on the team because the gym can now be used for both practice and home games. 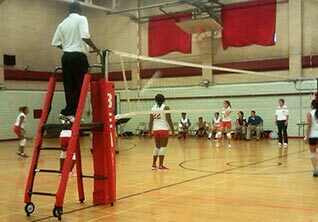 In addition to volleyball, the gym is also used for boys and girls basketball and gym class during the school day.